The Motorola Moto M in fine gold. Motorola Philippines now offers the Moto M smartphone here in the country. 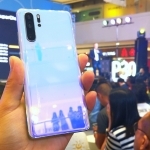 It has an official price of ₱14,999.00. 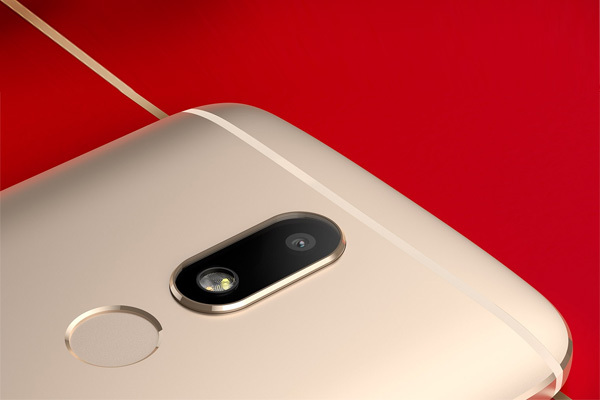 The ‘M’ in Motorola Moto M stands for ‘Metal’. 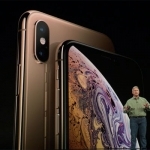 Hence, it’s not surprising that it comes in a gold-colored Aluminum body. It can also survive accidental water spills or a light rain thanks to its water repellent nano-coating. 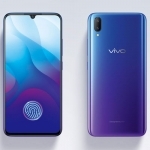 It flaunts a 5.5-inch full HD screen with slightly curved 2.5D arc edges and a layer of Corning Gorilla Glass 3 that protects it from scratches. 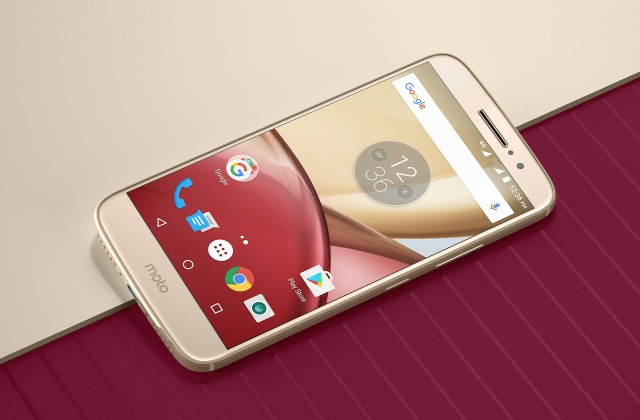 The Motorola Moto M uses the new MediaTek Helio P15 chipset. This is made up of a 2.2GHz octa core ARM Cortex-A53 CPU and an ARM Mali-T860 graphics processor. There’s also 4GB of RAM and a near-stock Android 6.0 Marshmallow OS. It has 32GB of built-in storage and a microSD card slot for expansion. Each unit has two years of free Google Photos storage at full resolution. 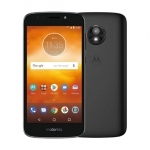 Notice the 16MP camera and dual-LED flash of the Moto M.
The Motorola Moto M has a 16 Megapixel main camera with phase detection autofocus and color correlated temperature dual LED flash. Meanwhile, an 8 Megapixel selfie camera resides on the front. Just like Lenovo smartphones, the Moto M’s audio is enhanced by Dolby Atmos. For wireless connectivity, the Moto M is compatible with 4G LTE as well as dual band Wi-Fi networks. 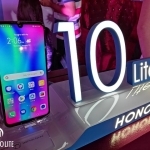 It uses the reversible USB Type-C port for wired connectivity. There’s a fingerprint sensor at the back of the device and a gyroscope is present for Augmented Reality apps and games. 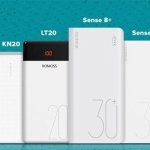 A 3050mAh battery powers the device with 2A fast charging. The official price of the Motorola Moto M here in the Philippines is ₱14,999.00. There are two color options – gold and gray.